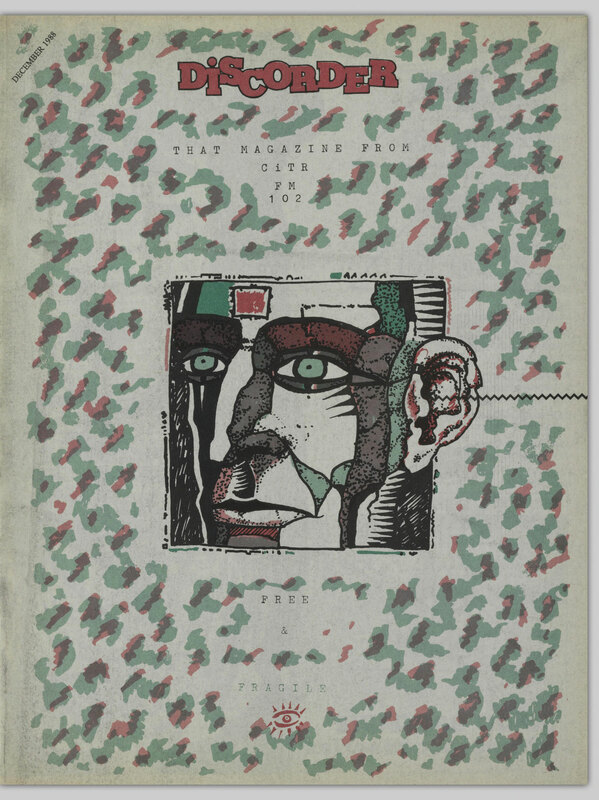 UBC Library’s Open Collections has made available the entire run of Discorder, the magazine of CiTR 109.1 FM. 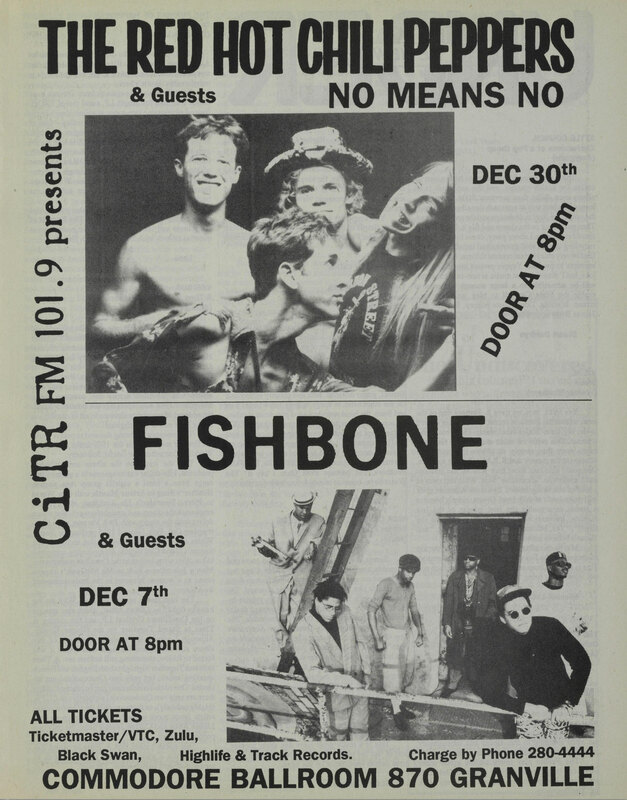 Issues date back to 1983 and include articles, album and concert reviews, interviews, radio show lists, advertisements, comics, and more. New issues continue to be added to Open Collections. 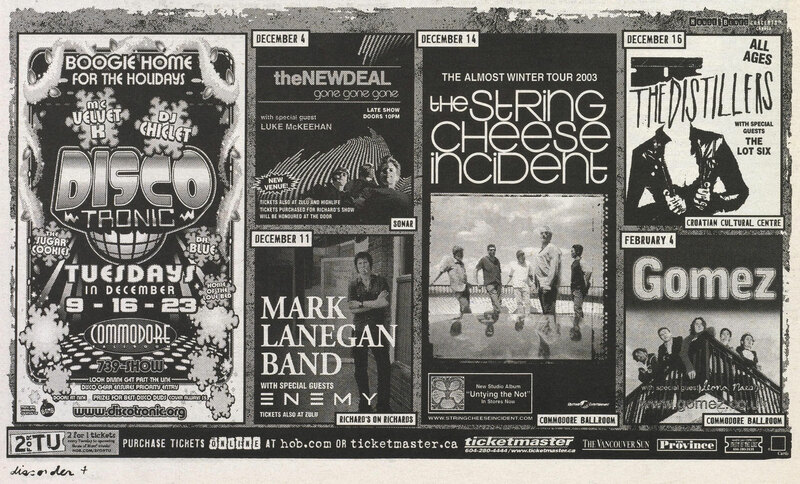 We were curious about shows in Vancouver throughout the years, so we explored back issues of Discorder to get a sense of the music scene. 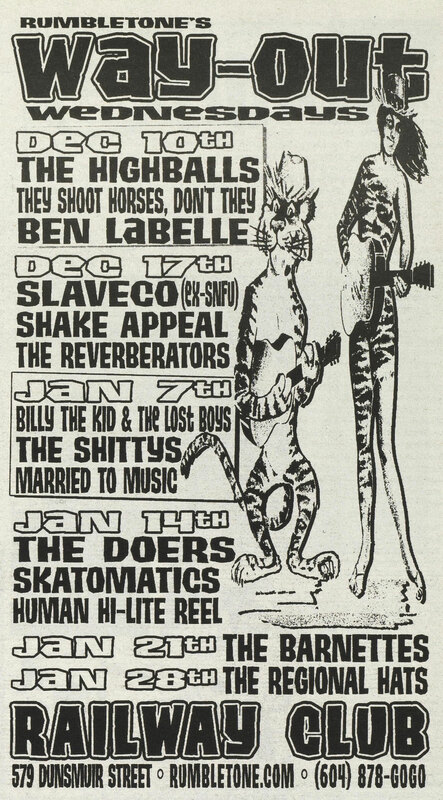 Here’s who played shows around this time in years past. 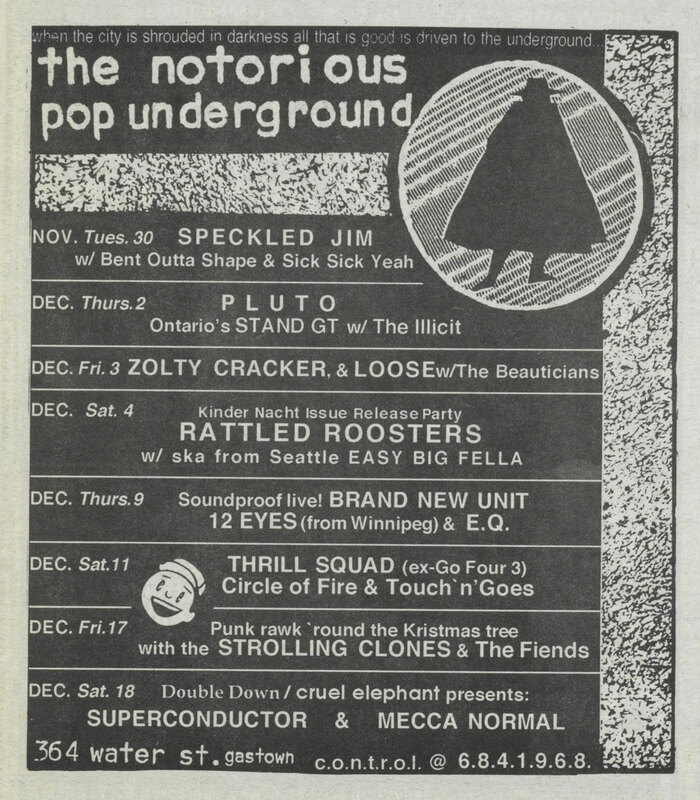 Discorder, December 1988, cover & page 21. 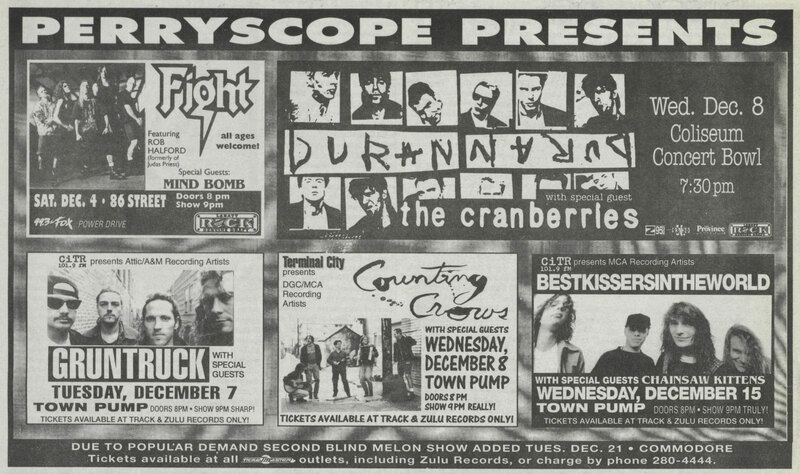 Discorder, December 1993, from pages 23-24. 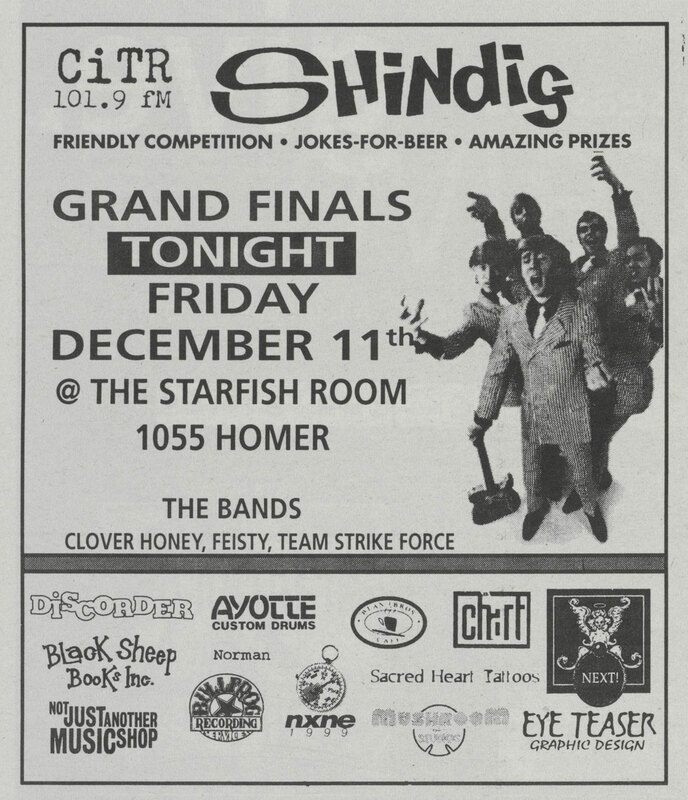 Discorder, December 1998, from page 8. Discorder, February 1999, from page 20. 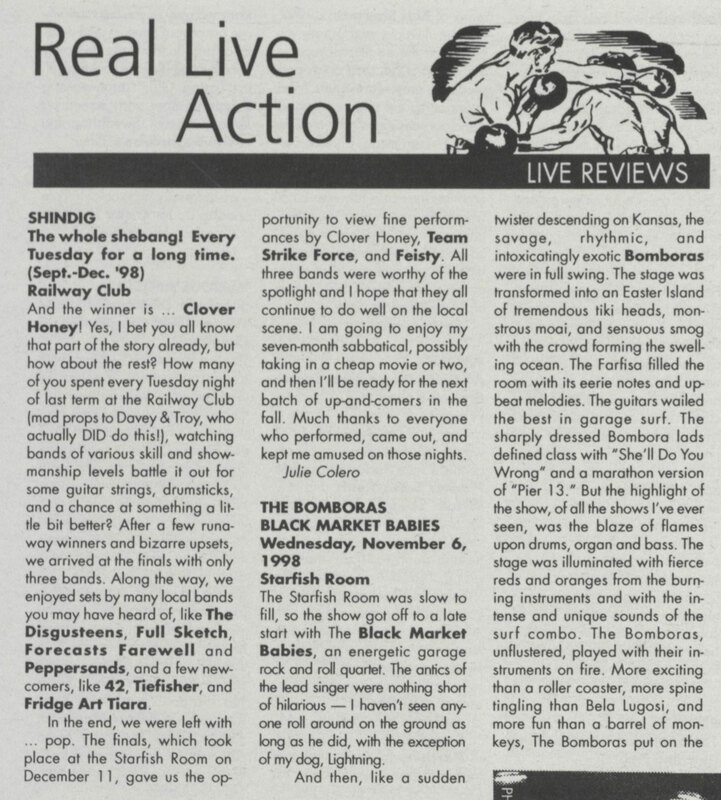 Discorder, December 2003, from pages 4-5. 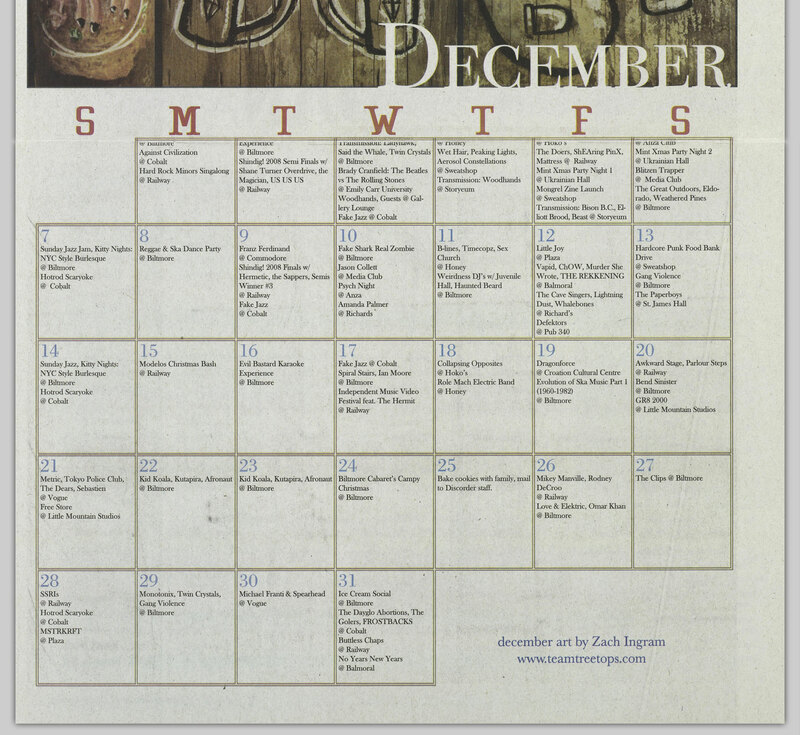 Discorder, December 2008, page 15.